The app offers in one place information for people seeking a divorce, adoption, orders of protection, name change, and other family law issues. 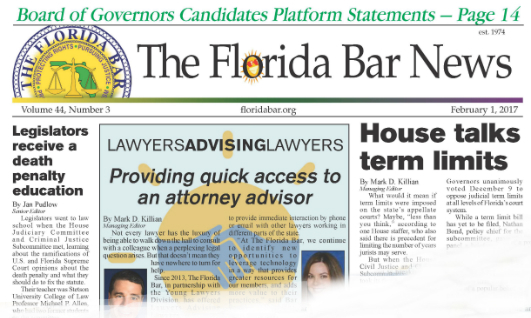 The Florida Bar News No one covers the legal profession like The Florida Bar News. We’re your resource for statewide news on law related issues. 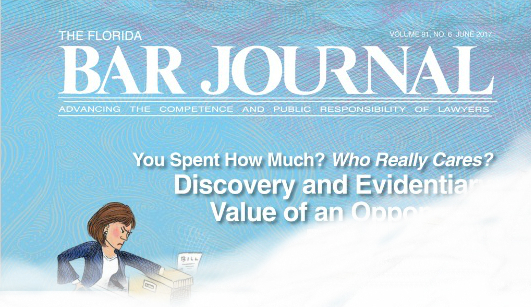 The Florida Bar Journal The Florida Bar Journal is the premier source of practical articles on Florida law. Advertising Easily reach thousands of lawyers. Advertise with The Florida Bar! Bar Forms & Applications Forms and applications available for Bar business. Florida Bar Legal Publications The Florida Bar produces more than 40 legal publications/law practice manuals that are made available through a collaborative marketing agreement with LexisNexis. Visit the Lexis Nexis bookstore. Bar Reports The Florida Bar has historically studied specific legal issues through standing and special committees. The reports on these issues are listed here. Other Publications Read the newsletters and reports of Bar programs and departments in these publications.